The students of Arielle Rogers performed wonderfully during their voice recital this past Saturday. BRAVO! This entry was posted in Uncategorized and tagged Arielle Rogers, recital, Rick's Musical Instruments, RMI Learning Center, voice. Bookmark the permalink. Music for a Rainy Day! What a rainy day! It has really destroyed any outdoor plans on this school vacation day. So here are some great rainy day tunes. Why not come in to purchase the sheet music, and play them yourself? This entry was posted in Uncategorized and tagged Ann Peebles, Bruno Mars, Eric Clapton, Etta James, Guns N' Roses, Israel "IZ" Kamakawiwo`ole, James Taylor, Maroon 5, Miles Davis, Nick Drake. Bookmark the permalink. On sale here at Rick’s Musical Instruments, Inc.! This entry was posted in Uncategorized and tagged amplifier, amplifiers, Music, Orange, Orange Amplifiers. Bookmark the permalink. Participate in our Facebook Mother’s Day Contest for a chance to win a gift card to our store! 1. Participants must be age 13 or older. 2. It is understood that participants between the ages of 13 and 18 have obtained parent/legal guardian permission, and by participating are implying that such consent is granted. 3. Participants age 18 and older act as legal adults responsible for their own actions. 4. 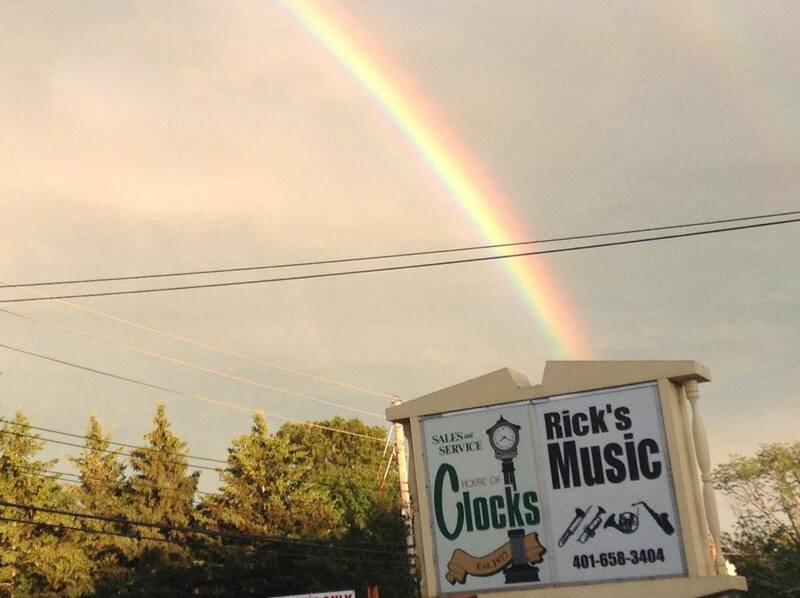 Current and past employees of Rick’s Musical Instruments, Inc. and their immediate family members may not participate. 1. Participants grant permission to Rick’s Musical Instruments, Inc. to perpetually use content posted in connection with this contest including but not limited to images, name(s), likenesses, written material, etc. for store promotion and other uses that Rick’s Musical Instruments, Inc. deems fit. 2. Participants must follow contest guidelines and rules explicitly, or else they will be disqualified. 3. All content submitted by participants must be original, and in no way copied or resembling the original content of others. Plagiarism, stealing or “borrowing” other original content, and copyright violations will result in automatic disqualification. 4. Submissions must be made between 12:00 a.m. EST beginning Sunday, April 13, 2014 an ending at 12:00 noon on Sunday, May 11, 2014. 5. Submission on personal timelines with pointing to such timelines is forbidden. 6. Judging will be completed by Rick’s Musical Instruments, Inc. employees, and participants agree that all judging is final and not to be disputed. 7. The contest winner must personally present themselves in store with proper identification to collect their prize. 1. “Like” the Rick’s Musical Instruments, Inc. Facebook page AND “like” the contest post. 2. Share a meaningful story about how your mother has supported you and made possible your life as a musician! How did she encourage you? What sacrifices did she make? What special things did she do? (For example: Did she drive 4 hours and 200 miles to see you perform?) Make this a great AND TRUE story about your mom! 3. Pictures are a plus! 4. Make sure you have mom’s permission to use her name and picture! 5. We and other Facebook fans want to understand you, so use proper grammar and sentence structure. 6. Vulgarity and adult themes or references is NOT allowed. 7. The most inspiring true story will win! 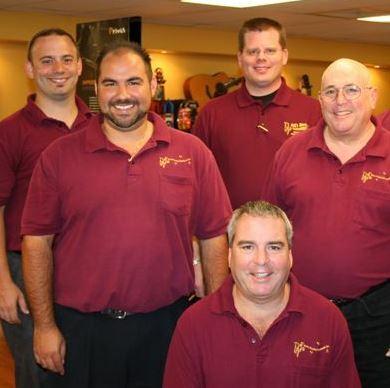 The winner will earn a $50 Gift Card good toward any in-store purchase* at Rick’s Musical Instruments, Inc.
2. Facebook is released from any association with this contest, and shall in no way be held responsible or liable. 3. Rick’s Musical Instruments, Inc. shall in no way be held responsible or liable for the actions of participants such as but not limited to submitted content including written material, images or likenesses, conduct, etc. 4. Judging will be completed by Rick’s Musical Instruments, Inc. employees, and all judging is final and not to be disputed. This entry was posted in Uncategorized and tagged gift, Music. Bookmark the permalink. Vote 1x daily until April 30th! Show RI that we are the best music store! This entry was posted in Uncategorized and tagged Providence Phoenix. Bookmark the permalink. • Leather Pads To Guarantee Airtight-ness. • Carefully Selected And Stabilized Grenadilla Wood. A great business needs to embrace change. Well, change has come once again. Having outgrown our previous blog platform, we have adopted WordPress. Welcome and enjoy!